Savvy entrepreneurs will make a dollar at any opportunity they get. Selling items online is one of the most popular ways for entrepreneurs to make a few extra bucks in their spare time. But, entrepreneurs should make a point to get the highest possible prices for their products. Some online marketplaces are much better than others. In order to make the most money, you need to know where to sell. Here are the best places to sell online for the biggest profits. The eBay platform is one of the best places to sell online and earn big money. It is also one of the earliest websites created to allow users to sell their own products online. eBay sales often fetch some of the highest prices for resale products online. There is a thriving culture of entrepreneurship within the platform that does make it a bit more competitive for entrepreneurs just getting started. But once online sellers learn the best eBay sales tactics and auction tips, they can easily turn a significant profit with minimal effort. That is what makes this well-known online auction platform one of the top places to earn money through ecommerce on a small scale. Etsy is another one of the best platforms to sell things online for top dollar. This thriving online marketplace allows entrepreneurs to tap into huge revenue streams, as long as they have the right product. The Etsy platform is one of the best places to sell handmade products online, in particular. It is an ecommerce marketplace centered entirely around artisanal products and handmade items created by small business owners and first time entrepreneurs. Because of the handmade nature of every product on the platform, entrepreneurs can earn quite a bit of money selling things on Etsy. The entrepreneurs that want to earn the highest possible profits from online sales could do quite well by selling items on Etsy. The Poshmark app is one of the best places to sell clothes online for higher profits. This secondhand clothing sales platform makes it easy for any average person to become an entrepreneur from the comfort of their own home. It is possible to earn quite a nice profit selling secondhand clothes online with Poshmark, due to the high volume of users that access the secondhand clothing app. In addition, the Poshmark platform is incredibly user-friendly. It allows even the most small-time online sellers to offer discounts and promote online sales for free. Even better, the app takes care of all the e-commerce fulfillment concerns for online sellers and buyers. Poshmark is one of the easiest places to sell online and earn big money with little effort. Social media platforms can also be great places to sell items online with little effort and big profits. 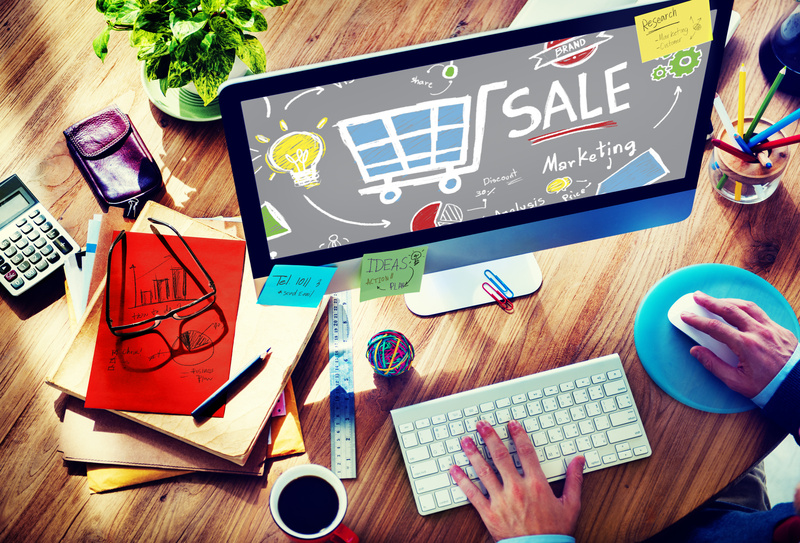 Social media ecommerce features allow you to sell products to friends and family. In addition, you can even use the Facebook marketplace and Instagram shopping tools to sell online to the masses. These social media platforms are some of the most highly trafficked websites online. They also tend to make it easier for consumers to impulse buy and spend more on a product than they would normally be willing to in a store. All these different variables make social media apps one of the top places to sell online and earn additional income easily. When it comes to miscellaneous items, Craigslist is one of the best places to sell online and earn big money. Entrepreneurs need not make an account to sell on the platform. This is a bonus that makes it easier to break into online sales on the platform. Further, online sellers can set their own sales terms when selling products on Craigslist. They are the ones that decide pricing, shipping and acceptable forms of payment. When entrepreneurs are able to set their own terms for selling online, they make much bigger profits. Craigslist is one of the least restrictive places to sell online, making it one of the most promising ecommerce platforms for big online sales profits. Online selling platforms are not hard to find. But, some places to sell items online promise higher profit potential. This should matter to entrepreneurs deciding where to sell things online. eBay, Etsy, Poshmark, Facebook, Instagram and Craigslist are some of the best places for online sales. These top places to sell online will offer entrepreneurs the best chance they can to earn the highest online sales profits with the least amount of effort. No savvy online seller could turn down those possibilities.